The completion of the Liverpool dock network in the 1880's saw significant traffic growth along the Dock Road, where omnibuses, trains, carts, horse drawn carriages, drays and pedestrians congested the roads along with the numerous goods only railway crossings which connected the goods stations and docks. The extent of the congestion meant that a mass transit solution was needed to alleviate the problem. As far back as 1853, plans had been proposed for a high level railway in the area, but were blocked by the dock's engineer Jesse Hartley, as these plans could potentially make his plans for extension of the docks too expensive. In 1877, a ship owner, Alfred Holt, suggested an overhead tramway, similar to the New York Elevated Railroad (which used steam locomotives). A plan was devised and eventually a fully double track line was proposed. 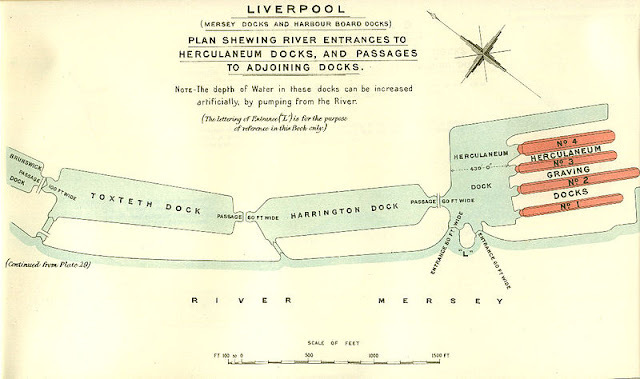 The system was to run from Bootle to Herculaneum Dock, a distance of 6 miles. It was reported that the system would need the revenue from eight million passenger journeys per year to break even. 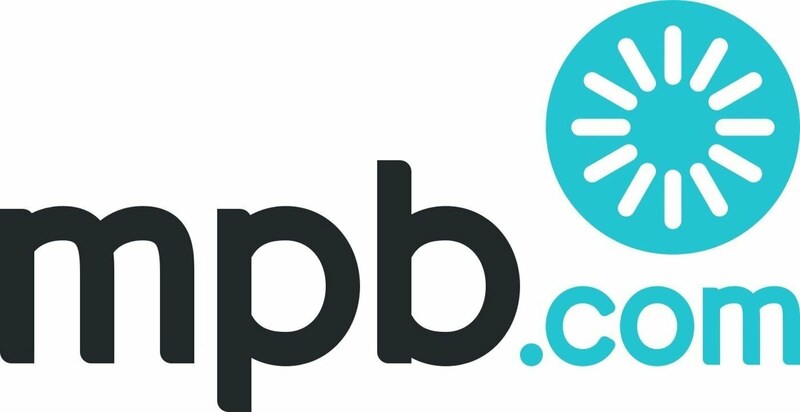 Parliament refused to permit the Mersey Docks and Harbour Board to manage the railway, as concerns were expressed that MDHB was a non-profit making organisation. 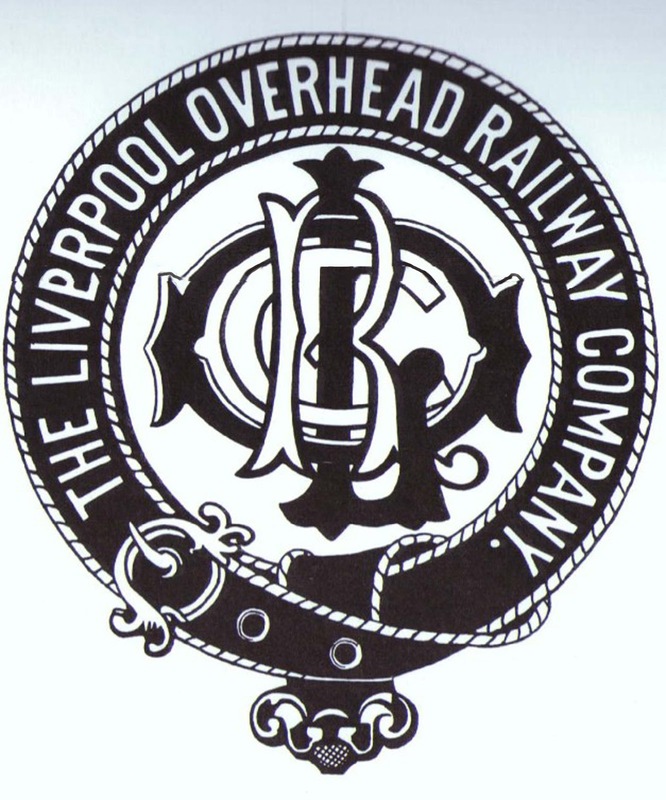 In 1888 a group of local businessmen formed the Liverpool Overhead Railway Company and obtained the powers by an Act of Transfer to run the system from the Mersey Docks and Harbour Board. Work commenced in October 1889 following the commission of leading engineers, Sir Douglas Fox and James Henry Greathead with JW Willans of Manchester, as the building contractor. The works finished in January 1893 with a running trial and inspection on 13th of that month. 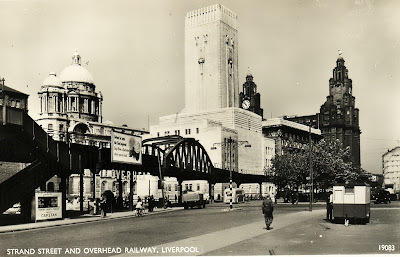 The Liverpool Overhead Railway was officially opened on 4th February 1893, by the 3rd Marquis of Salisbury, and Prime Minister Lord Robert Cecil. 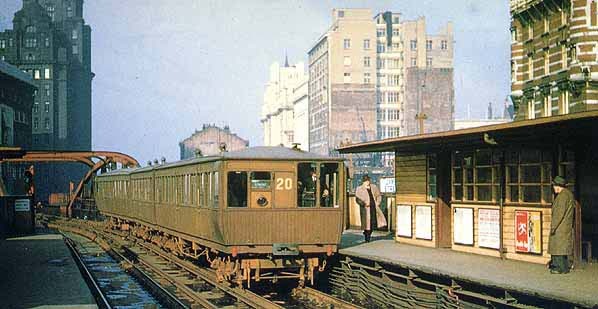 It was the first electrically powered overhead railway in the world and the first to be protected by electric automatic signals. The line had cost a staggering £3,466,000 (or £331 million by today's standards). The track bed was made of rolled steel sheets to stop any unwanted debris falling upon unsuspecting passers-by or cargo. It also provided a welcome shelter from the rain, and hence was nicknamed the "Dockers Umbrella" by locals. By 1897, the targeted eight million passenger journeys were reached and the system began to make a profit. Seaforth Sands - Opened in 1894 to take advantage of the residential areas, the line was extended from Alexandra Dock to Seaforth Sands. The station boasted Britain's second escalator (from 1901). 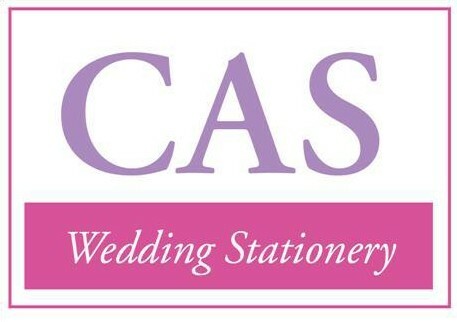 However, this only lasted 5 years due to the number of compensation claims from women who had their long dresses torn! Gladstone Dock -(left) Opened in 1930 to serve the new Gladstone Dock complex. Langton Dock -(not pictured) Opened in 1896 and closed 1906. 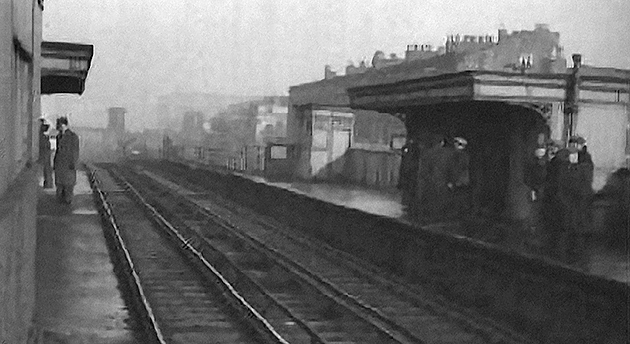 Brocklebank Dock (left) - One of the original eleven stations. Alexandra Dock -(right) Opened 1893, was the original northern terminus. 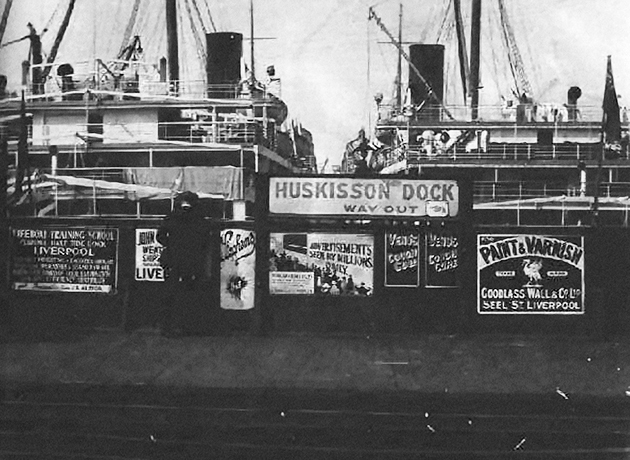 Huskinsson Dock -(right) Opened 1896 as a replacement for Sandon Dock station. 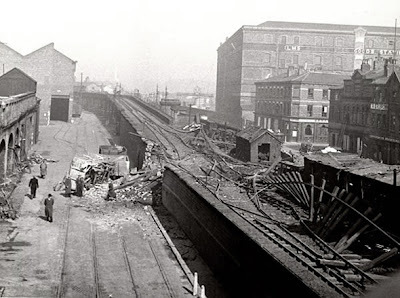 Sandon Dock - seen here in the aftermath the blitz One of the original eleven stations but closed in 1896 when the dock was replaced by Husskinson and Nelson Docks. Nelson Dock - Opened in 1986 as a replacement for Sandon Dock, and served Bramley-Moore Dock and Nelson Dock. 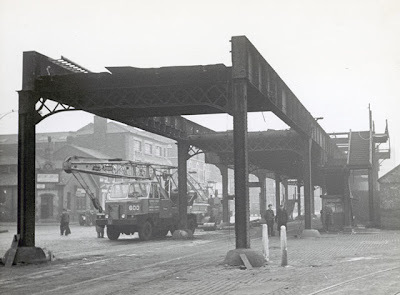 Clarence Dock - One of the original eleven stations also serving Trafalgar, Salisbury, Collingwood and Stanley Docks. 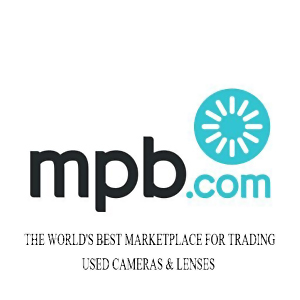 Closed briefly in 1906. 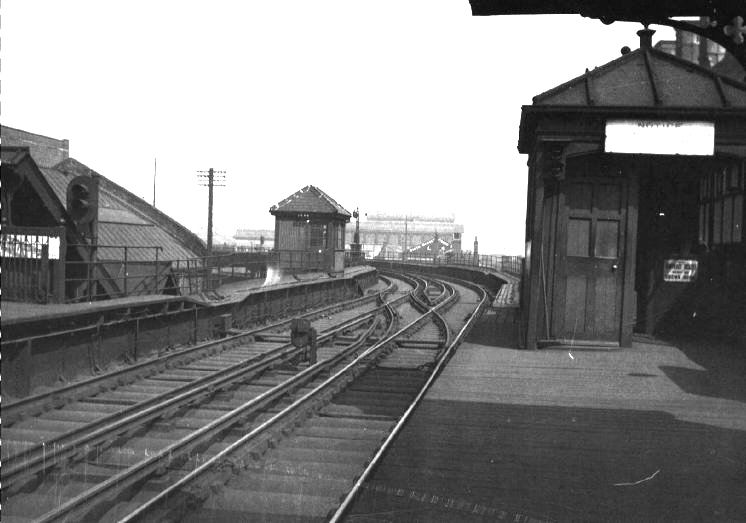 Princes Dock - One of the original eleven stations. Badly damaged during the Blitz, repairs were unable to take place and the station closed. Pier Head - One of the original eleven stations, and the busiest. Formed an interchange with Mersey Ferries and the tram terminus. Also the closest stop to the city centre. 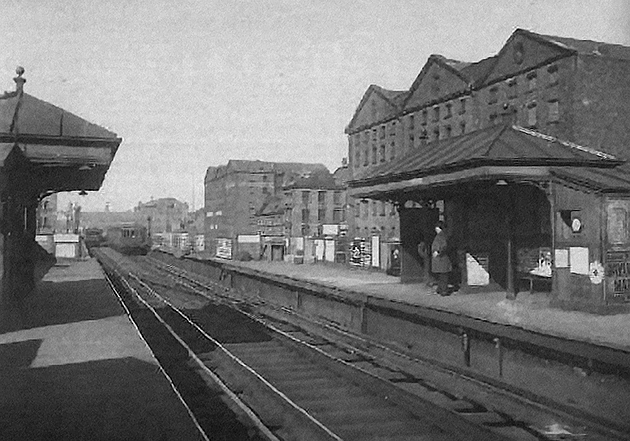 James Street - One of the original eleven stations and formed an interchange with James Street underground rail station. Custom House - One of the original eleven stations, and renamed Canning in 1947 due to the destruction of the Customs House during the war. 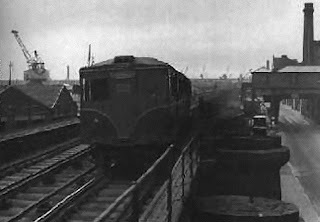 Wapping Dock - One of the original eleven stations. Some of the iron support struts are still in existence on the ex warehouse in Challonor Street. 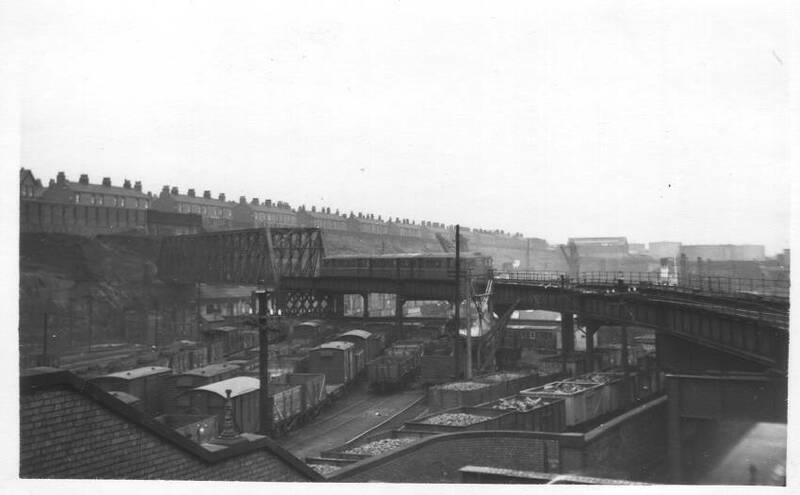 Toxteth Dock - One of the original eleven stations. 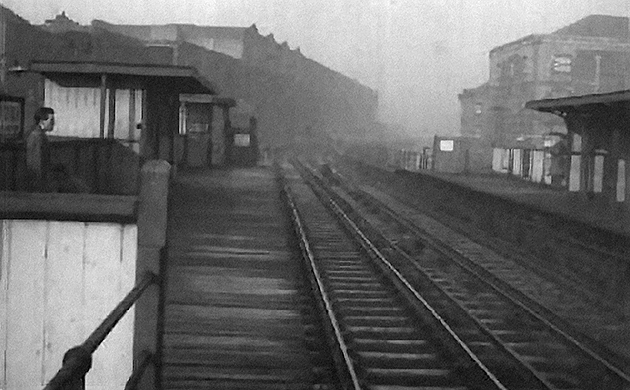 Herculaneum Dock - The original southern terminus between 1893 and 1896, closed for the Dingle extension, and a new station was constructed a few hundred metres north on the side of Harrington Dock Dingle - Opened in 1896 with completion of the extension. The extension was tunnelled a half mile into sandstone rock and can still be seen today. A disaster struck the station in1901 when a train arrived on fire, and the tunnel airflow fanned the flames. Six people died as a result and the station was closed for a year. 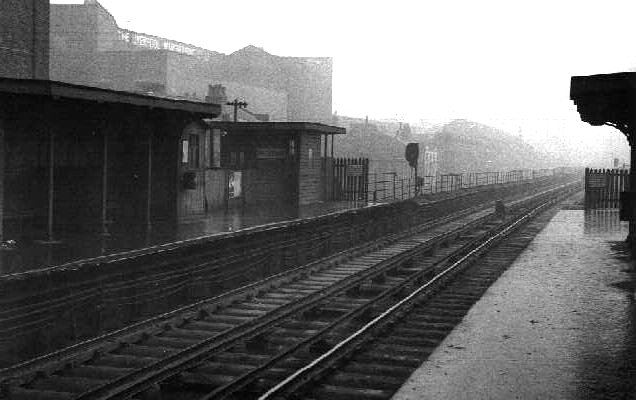 The entrance to the station is also still there and garage uses the station itself. In 2012 the roof of the tunnel collapsed, fortunately no one was injured but vehicles parked in the old tunnel were covered in rubble. The introduction of electric trams in Liverpool in 1898 had a dramatic impact on the overhead railway from which it never really recovered. 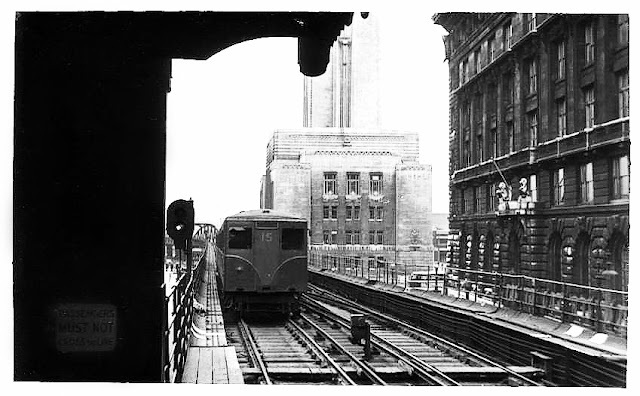 The overhead railway motor coaches were rebuilt to offer a faster service – with the travelling time on the whole route cut down to twenty two minutes – but this was revised to twenty eight minutes as the coaches had to go at a slower speed to make savings because of rising fuel costs. The number of trains was also increased with trains running every three minutes during peak time and ten minutes during off-peak hours. Although the trams were much slower than the overhead railway, they proved to be more successful because they were more flexible and could cover a wider area. Trams also had lower fares as the money raised from fares on other routes meant that lower fares could be charged on the dockside routes. 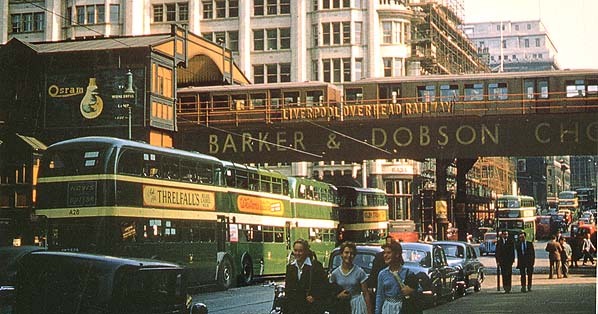 These factors and other concessions granted to the trams by its owners Liverpool Corporation meant that the overhead railway could never compete on equal terms. Changes in the nature of the dock industry also had an impact – the increasing use of the telephone replaced the need for messenger boys. Improved ship building meant that repairs were less frequent. 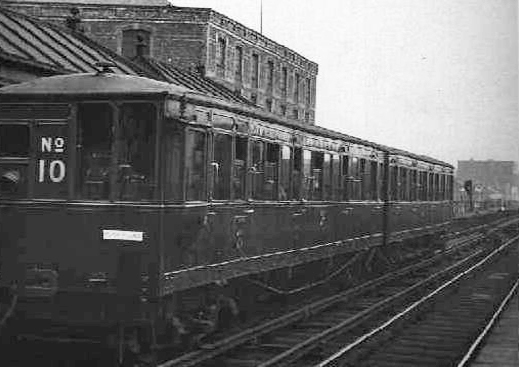 Increasing moves towards larger passenger vessels all had an impact on the overhead railway. 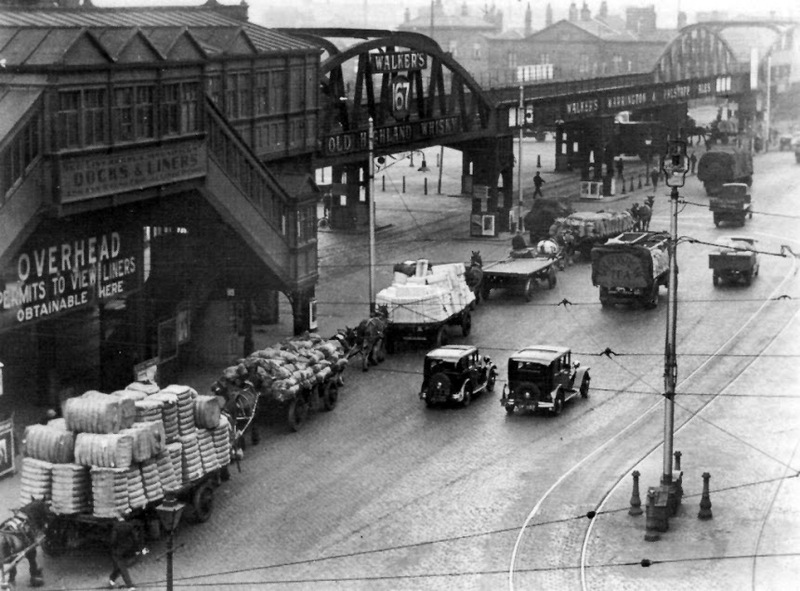 The number of people using the overhead railway reached its highest figure after the First World War with more than 19 million passenger journeys in 1919. The economic decline in the 1920s more than halved this figure within two years. The continued failure to invest large sums into the repair and maintenance of the railway meant that by 1954 the repair costs were rising at an alarming rate. A detailed investigation took place and reported on the true state of the railway and the amount of repairs that were needed so the railway could make a profit once again. Curved metal plates that supported the track were in a state of decay and needed urgent repair. 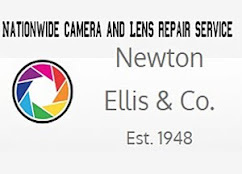 At an estimated cost of two million pounds the repairs were considered beyond the financial resources of the company. 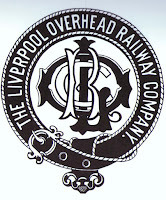 Liverpool City Council and the Mersey Docks and Harbour Board were approached for financial assistance, without success. 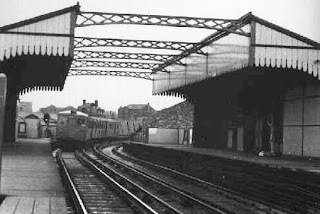 The railway was unable to continue without the essential repairs and after 63 years in operation, the Railway was closed down on 30th December 1956. Several rescue attempts and public protests followed, but on 23 September 1957, dismantlers moved in. 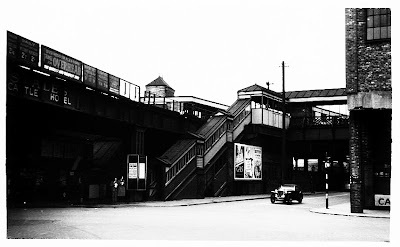 By January 1959 the Liverpool Overhead Railway had disappeared and with it another Liverpool institution was lost forever.